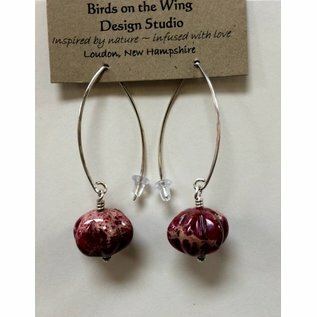 "Nature is woven throughout everything I do in life, so it makes sense that I would name my jewelry business Birds on the Wing Design Studio. Birds-on–the-wing (Polygala paucifolia) is a beautiful woodland flower that grows wild in the Northeast and Canada. I enjoy using different combinations of materials and skills when making my jewelry. I combine bead weaving techniques using a multitude of beautiful glass seed beads from countries like India, Japan and Czechoslovakia, with pieces of sea glass I have found along the Atlantic Coast, or the lamp work beads I create at the torch. 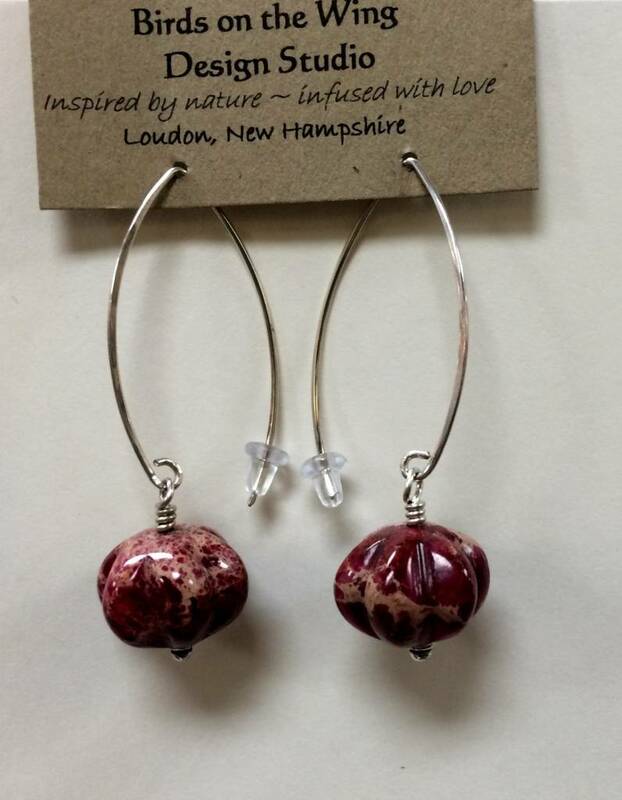 I always want my designs to be refreshingly unique handcrafted jewelry."